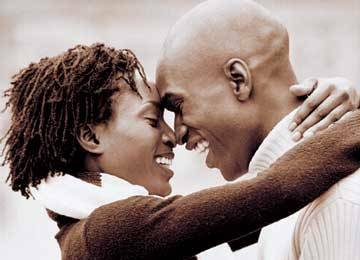 Myne Whitman Writes: Are there Truly Happy Marriages in Nigeria? 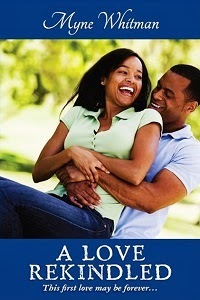 Are there Truly Happy Marriages in Nigeria? The main reason I write romance novels, and why I moved into blogging about relationships is that I wish more people, and women especially have a better experience of their relationships and marriages. I have defended good and happy marriages before when an article insisted they were all based on lies [see post], but I have also wondered why Nigerian marriages are sometimes such a farce? [see post]. At this point I want to know what is the incentive for me to get married. People don't take their vows seriously, no one wants to work on their marriages anymore, the divorce rate is too damn high. Seriously, what is the point of marriage? Is it just a rite of passage that I am expected to go through as an African woman? Happy is relative, happy is not perfect. I got married at 31, always thought I would never get married after leaving an engagement offer to do my masters. And no, it wasn't me, it was him, and so many other Nigerian men both married and unmarried that I had interacted with. My parents were an example of a good marriage, and I wanted even better than my dad. It didn't become a special prayer point but God and I knew ourselves so I felt free to keep living my life till He said so. He did say so, and I keep counting my blessing everyday, day by day. So yes, I am a romantic, and I believe in marriage. Not because society says get married, but because I think love is one of the most powerful emotions we can ever experience, and my small experience of it even before marriage showed me that love is best nurtured in a stable, supportive, long term relationship. A monogamous and honest marriage is the ideal type of such relationships. In marriage to the right person, you feel safe, secure, and open to fully enjoy and grow in love. My marriage is by no means perfect, but I'm really happy with who I'm with. I'm truly blessed by what we've made of our time together, and I look forward to forever. Who remembers this post, about how it is important to make marriage not just look good, but feel good too? I know it is easy to get discouraged by the ubiquitous marriage horror stories, but hope, positivity and trust are key ingredients to the respectful communication that many happy marriages are based on. Whether married or about to, keep an open mind, remove the fear, and try to create a connection with your partner. For those who are married, please feel free to share what you think about Nigerian marriages in general and your marriage in particular. Thanks.